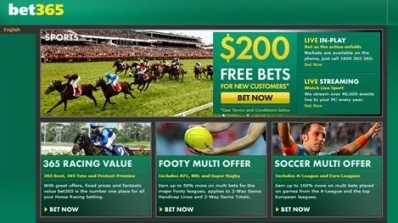 When Bet365 prominently displayed $200 FREE BETS FOR NEW CUSTOMERS* on the Opening Page of its website, it was targeting new customers who shared the Australian love for a punt. The “FREE BETS” display was a successful marketing strategy, but fell foul of the Australian Consumer Law. The article looks at the pitfalls of the way Bet365 displayed the “FREE BETS” offer from a legal perspective, followed by the benefits of using the word free from a marketer’s perspective. In Australian Competition and Consumer Commission v Hillside (Australia New Media) Pty Ltd trading as Bet365  FCA 1007, the Federal Court of Australia (Beach, J) found that the “FREE BETS” display between 18 March 2013 and 13 January 2014 was misleading or deceptive or likely to mislead or deceive contrary to s 18 of the Australian Consumer Law (Sch 2 to the Competition and Consumer Act 2010 (Cth)) (ACL) and conveyed false representations contrary to paragraphs 29(1)(b), (i) and (m) of the ACL. Hillside Australia, which held the licence to transact with Australian consumers for sports betting and which was involved in marketing the “FREE BETS” offer, was ordered to pay a pecuniary penalty of $1,500,000. It was also ordered to email a corrective notice to each individual who had responded to the “FREE BETS” offer within the relevant period. Hillside UK, which was responsible for marketing, setting the value of the offer and preparing promotional material and the development of the offer’s terms and conditions for the Bet365 website, was ordered to pay a pecuniary penalty of $1,250,000. It was also ordered to email a corrective notice to each individual who had responded to the “FREE BETS” offer within the relevant period. These conditions heavily qualified the “fee bets” offer. According to Justice Beach, they should have been prominently displayed on the Free Bets Opening Page of the website, as they now are, and not ‘hidden’ until the customer had clicked through to the Free Bets Welcome Page then to the Free Bets Open Account Page then to a Funds Deposit Page, which led to a Free Bets Welcome Email which contained a link to the ‘Terms & Conditions’. Justice Beach concluded that Any customer who managed to find those terms had by that stage been fully drawn into the marketing web by the headline offer. Was the “FREE BETS” marketing successful? active users had increased to 73,000, an increase of 83% over the previous year, of which customers who took up the “Free Bets” offer were a significant proportion of active users. Despite these statistics, the Australian Competition & Consumer Commission (ACCC) failed to demonstrate that the “FREE BETS” marketing was carefully planned. Instead, Bet365 persuaded the Court that the benefit was accidental and due to deficient systems which omitted the “*See Terms and Conditions below” disclaimer from the “FREE BETS” panel on the Opening Page. The Bet365 Group is based in the UK. It provides online bookmaking services to customers in over 200 countries. Senior management in the UK were responsible for the design and implementation of the systems which the Court found to be inadequate. As part of its case, the ACCC quoted a 4 August 2010 adjudication by the UK Advertising Standards Authority (ASA) on Hillside UK’s website advertisement - “£200 FREE BETS FOR NEW CUSTOMERS”. The ASA had found that the banner was misleading because the disclaimer “Terms & Conditions apply” was not ‘one click away’. Therefore new customers were not aware that they could only claim £200 in free bets if they staked a significant amount of their own money first and that they could only withdraw winnings if a number of conditions were met first. The ACCC was seeking to demonstrate that Bet365 had previously engaged in the conduct before the Court. But Justice Beach dismissed this: The ASA decisions exist in a different regulatory prism, apparently pursuant to some form of voluntary code, in circumstances in which the UK does not have an ACL equivalent. Accordingly, what is and is not permissible by way of advertising in the UK has reduced relevance in Australia. Was the omission of a reference to Terms & Conditions reckless? Justice Beach accepted that the omission was the result of an error, as opposed to being intentional. He accepted that a ‘systemic deficiency’ occurred during the implementation of a software upgrade of the Australian website in March 2013 (to improve functionality). During the upgrade,, the “BONUS BETS” panel was mistakenly changed to the “FREE BETS” panel in which the words ‘Terms & Conditions Apply’ were omitted. That omission was not corrected until January 2014. Justice Beach concluded that although the behaviour was not reckless subjectively, it was objectively reckless: The respondents took a risk by not investing in appropriate systems. The risk eventuated. They must accept the consequences. He noted that in 2014, Bet365 had adopted an ‘adequate’ compliance program which should mean that the behaviour is unlikely to be repeated, and this applied to reduce the penalty. The free bet claims came to the attention of the ACCC as part of a coordinated sweep of ‘free’ representations on websites targeting Australian consumers. This initiative was part of a larger global effort through the International Consumer Protection and Enforcement Network. There is no such thing as a ‘free bet’ – there are always conditions attached. In this case, one condition was that the customers had to gamble their deposit and bonus three times before being able to withdraw any winnings. The decision stands as a warning to all marketers - Unless the Terms & Conditions are prominently displayed, a free offer is misleading or deceptive in breach of the ACL and heavy penalties will apply. ‘Free’ is one of the most powerful words in the marketer’s arsenal. Despite its overuse in advertising generally, it still has a very strong hold on the mind of the consumer and taps into the universal desire to ‘get something for nothing’. Although as consumers our rational brain suspects there may be a catch, our human instincts of greed override the rational and want to believe we are getting a bargain. Who can resist something for nothing? Consumers are inclined to buy more. Customers become willing to pay a higher price for it later. Items increase in value when they’re free instead of when they’re discounted (e.g. every tenth coffee is free). Brands can leverage freebies to upsell other goods (e.g. buy one, get one free or get a free gift bag when you spend $75 or more). Recipients are 20% more likely to spread word-of-mouth. So, is there any such thing as a ‘free bet’? I would argue there isn’t and any marketer worth their salt knows that that ‘free’ offers must be funded by an increase in sales revenue generated by the campaign. The costs are usually built into the purchase price or are simply a redeployment of existing marketing spend towards the additional ‘free’ service in the hope the offer of something free will entice enough new customers to neutralise the cost. Bet365 offered $200 FREE BETS for new customers. The consumers were not made aware of the multitude of conditions, that if fully disclosed would have substantially reduced the appeal of the free offer. As such, the marketing potentially exploited the consumers’ desire for ‘something for nothing’ and the brand benefited handsomely with increased sales revenue and new customer sign-ups. It would appear to me that the fine is manifestly inadequate, given the substantial sales uplift achieved by the promotion. You could almost write off the fine of as a modest ‘marketing investment’, or as the courts put it, a ‘cost of doing business’.